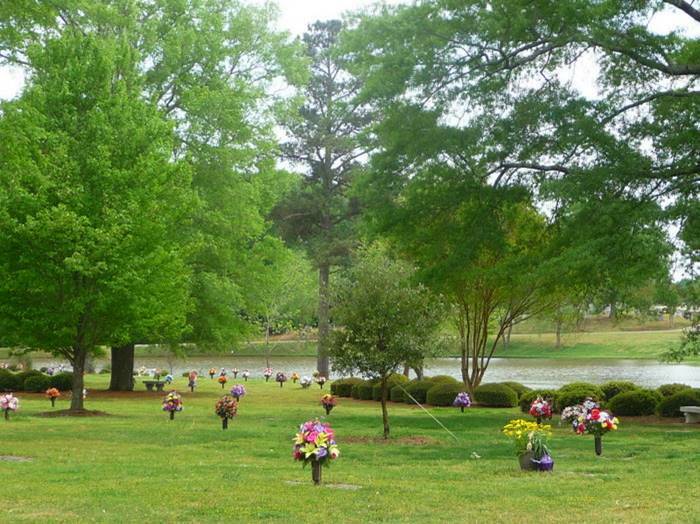 The gently rolling, wooded landscape and serene lake located within Oakbrook Memorial Park provide a peaceful final resting place for loved ones as well as a tranquil opportunity for meditation and reflection by family members. Oakbrook offers traditional ground burials in both upright monument and bronze marker sections of the Park. 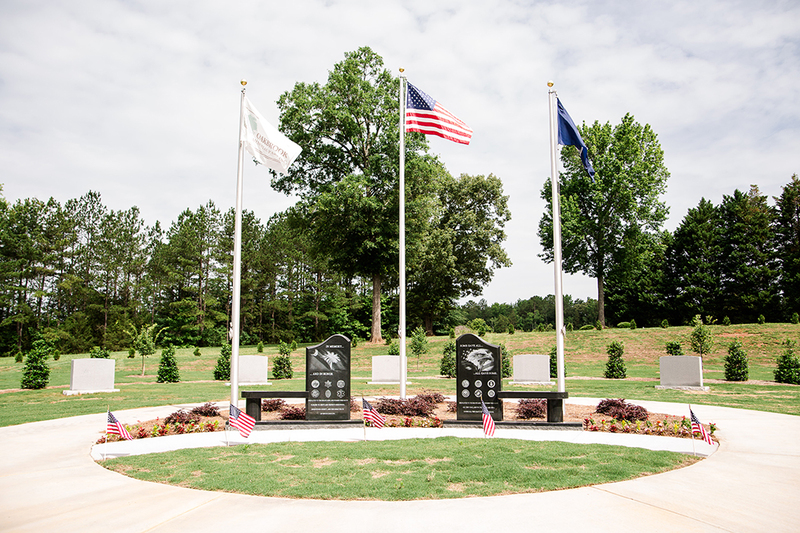 In addition, Oakbrook is proud to offer a new ground burial section, The Hillside Garden, which is dedicated to provide a special place for members of our armed forces, veterans and first responders. More information regarding the ground burial options can be found below. Oakbrook's Bronze marker sections are characterized by the placement of a ground-level bronze on granite marker memorializing either one or two people. The marker is typically located at the head of the grave. Bronze Markers are available within the Oakbrook, Dogwood, and Lakeview sections of Oakbrook Memorial Park. The choice of many generations of families, Oakbrook's Upright Monument sections provide a highly visual, stately final resting place for your loved one. Characterized by the placement of an upright or ground level granite or marble monument at the head of the lot, Upright Monuments are available in the Oak and Maple sections of Oakbrook Memorial Park. Dedicated to members of our Armed Services and First Responders, Hillside Garden is a tranquil and fitting resting place to consider for those who have served so selflessly. It's our way of saying "Thank You" to those who have served. Both Upright Monuments and Bronze Markers are available within The Hillside Garden.